Proms traditionally have been a night of glamour and romance, complete with backstage drama over dates and dresses. But prom culture is changing and some teens now see prom as an opportunity to be inclusive rather than exclusive. They're using proms as vehicles for good deeds and to take a stand on issues that matter to them. Teens are inviting classmates with autism to be their dates and one student group organized a prom for senior citizens. In Louisiana, a gay female student fought for the right to wear a tux and a museum now displays a prom dress worn by a student who spearheaded a racially integrated prom. Matty told Kaitlin he wanted to buy Disney World for her. "I said, if he's going to buy Disney World for me, I should bring him to the prom," said Kaitlin. The whole school including Kaitlin's boyfriend joined the effort and Matty learned to dance. Special ed teachers and the school nurse chaperoned to help manage Matty's diabetes. The hockey team, which had previously chosen Matty as team CEO, made sure he had friends to hang out with in addition to Kaitlin. "A lot of the kids know his situation, that he's very sick, but they also respect him as a peer. This wasn't done out of pity," said Matty's mom Susan Marcone. "There was magic in the room that night." "I was going to go by myself if I didn't get a date," he said, "but it turned out Sarah had a plan." Claudetteia Love, 17, was barred from wearing a tux to the April 24 Carroll High School prom in Monroe, Louisiana, but after word of her quest got out, the dress code was changed with the support of the school board president. Proms, normally where gossip abounds and popularity dips and soars, is now where mature teenagers do good deeds for their fellow classmates and themselves. Kaitlin McCarthy took her autistic friend to prom with her, with the help of school authorities and the rest of the school. They were crowned prom king and queen, and good feelings permeated the evening. 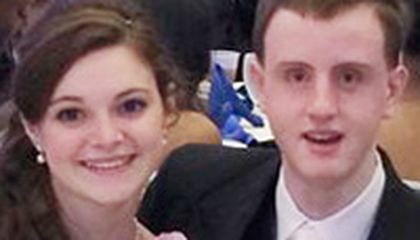 In New York, Sarah Kardonsky asked her autistic classmate Michael Pagano to the prom - with a twist. 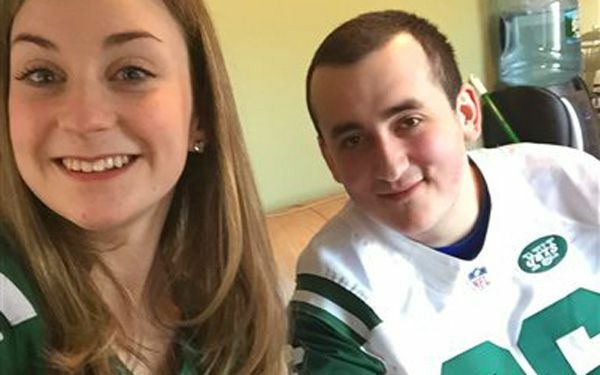 He was a big fan of the NY Jets, so she asked some Jets players to make a video of themselves asking Michael to go to the prom with Sarah, and he agreed wholeheartedly. Claudetteia Love, a gay high school student from Louisiana, fought for her right to wear a tux to the prom, and won. I thought this article was very absorbing and a good usage of anecdotes. Some many times I hear all this drama concerning prom like who went with who and who wore the same dress as another person. I think this new trend about what prom should truly be is great. On prom night I think everyone should just be able to have fun and enjoy themselves, instead of worrying if their hair is absolutely perfect or how the last picture turned out. This is pretty amazing, but it's been happening for a while now. It's great that there are people out there making the high school life amazing for everyone. Prom is one of the most biggest events in high school and I give it up to those who went to the extent to let others enjoy such a wonderful night. I believe that it is ridiculous to put restrictions on proms, to begin with. I believe that there should be no restrictions with a female wearing a suit. That's discrimination, just because she is gay. In a way that can be taken in as. There shouldn't be restrictions with the attire for prom, because teens look forward to their night. They look forward to the fun, and the memory they will make. But to put restrictions on what they want to wear, is just wrong. That's like saying a colored person can't sit in front of the bus although that law has been passed. There shouldn't be discrimination anywhere, especially to ruin a memorable night. All over Twitter and other social media show teens across the US asking someone to prom. It's not a big surprise seeing this article since a lot of people are doing it now. I think its a great thing to do. It shows how they can make someone else's night grand. I can see how special ed kids have a hard time being normal since no one treats them like how everyone else is treated, so its nice how some people put their happiness first. These high school students are doing one the nicest things ever in my mind. They are inspiring other people like myself to go and be nice to everyone. High school students are showing that prom is just to have fun and that you should be yourself. These students are helping kids that wouldn't usually go to prom, get to go to prom. I researched and found out that about one percent of the world's population has autism spectrum disorder. I think that people should be able to have there special night at prom and i think that its really nice that some people invite there classmates with autism. That's such a good thing and I'm sure makes that person feel so special and the fact that people are making good things out of prom now is great.